Thinly slice red onion and cover with 2-3 tbs of rice vinegar. Place in fridge. Warm large frying pan on medium heat. Add 2 tbs of soy sauce, 1 tbs of sriracha and 1 tbs of brown sugar mix and cook an additional minute or so. Wash and cut up cilantro and basil. 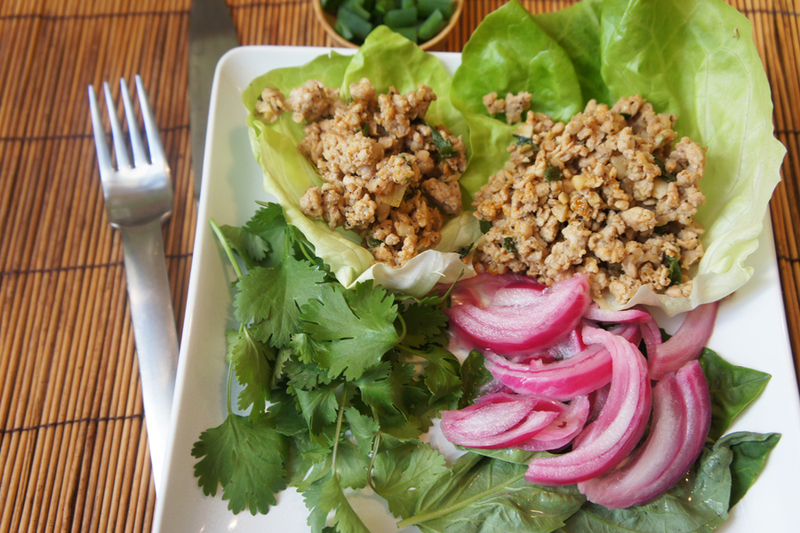 Assemble lettuce cups placing cooked ground chicken in cup, followed by red onion, cilantro and basil. Squeeze lime over cups.